13 Reasons Why Almond Oil Should Be On Your Dresser! Almond oil has been my favourite hair product ever since I can remember! Each time I got home after a long, tiring day at school, my mother would reward me with a relaxing champi session. This oil treatment benefited my hair immensely. I now have thick and strong curls all thanks to almond oil. And, my journey with this oil doesn’t just end there! During my formative years in college, I started using almond oil not only on my mane but on my skin too. Trust me, there was no turning back after. The oil is rich in Vitamin E, proteins, potassium, zinc, and fatty acids (which is why I love it!) If you're now tempted to try the oil out, you certainly must! It Removes Dark Circles Like A Pro! When you’re sleep deprived, your eyes end up looking tired. Instead of using eye creams, a quick fix would be to use almond oil. It’ll not only get rid of the dark circles but also reduce the puffiness around your eyes as well. All you’ve got to do is apply a few drops of almond oil over the dark circles and gently massage the area. In a couple of minutes, the skin around your eyes will start to look, and feel, fresh. The ugly truth is that every day we lose hundreds of hair strands. However, this does not completely affect the volume of your hair because the new hair growth replaces the old one. 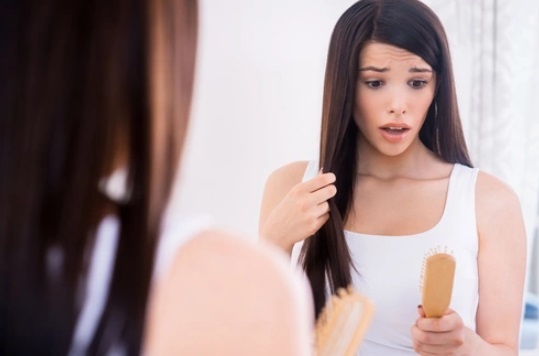 However, if you’re starting to shed a lot of strands, then it’s probably to do with stress, environmental pollutants, nutritional deficiencies or a hormonal imbalance. The solution to all the above is almond oil. Packed with calcium, magnesium, and zinc, your hair is bound to get all the nourishment it deserves. Every time you have a head bath, make sure to massage your scalp with a tablespoon of warm almond oil after. This beauty routine will keep your mane healthy. For longer, stronger nails, almond oil is your go-to product. It’s perfect for healing brittle and chipped nails since it's rich in zinc, B-complex vitamins, and iron. Each time you clip your nails or remove your nail paint, apply some almond oil on your cuticles. Doing this once every day will improve the growth and health of your nails. You know why almond oil is amazing? Simply because both your scalp and hair shaft can benefit from it. Sometimes, using shampoos can strip the hair of its natural oils. This can take a toll on your mane by causing breakage and split-ends. That’s when you need almond oil to save the day. It restores the protective oil layer and improves the texture of your locks. You’ve got to try it to believe it! If you have smooth and supple skin, you need to thank a protein called collagen for it! Collagen works like protective padding under your skin and shields it from environmental stressors and sun exposure. If your body is low on collagen, your skin can look wrinkled and old. Almond oil can help you reverse any early signs of ageing. 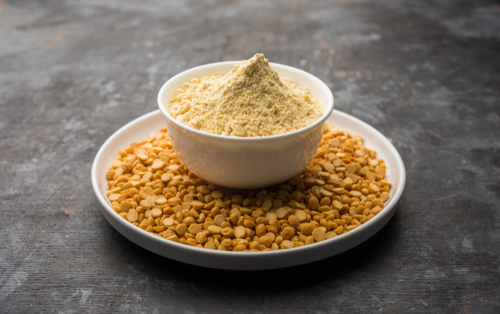 It’s rich in amino acids, Vitamin E, and antioxidants that help repair the damage done to the collagen layer. Simply apply some oil to your face and leave it overnight. You’ll wake up to a smoother complexion in the morning. You’ll have to blame the unpredictable weather and pollution for the rashes and burns on your skin. Sometimes, your fabric and diet too could be accountable for damaging your skin. Instead of using medicated creams and other skincare products, use almond oil. It’s free from chemicals and is gentle on the skin. Plus, it contains zinc and other nutrients that help soothe and heal skin. Thanks to the Vitamin A content in almond oil, blackheads and acne are taken care of. Due to its lightweight texture, almond oil can penetrate easily into your skin and cleanse the oil, dirt, and bacteria from your pores. 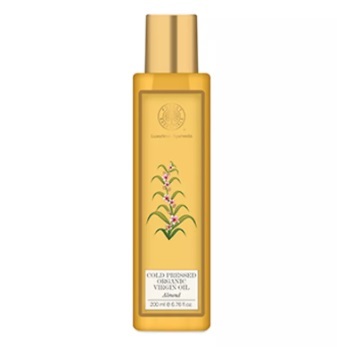 If you have sensitive or dry skin, this oil will do your texture good. For radiant skin, you can also make a face scrub using almond oil and fine sugar. This will help scrub off dead skin cells, and will gently remove all the grime too. There’s no need to use a makeup remover when you have almond oil lying around on your bathroom shelf. One good reason to use this baby to cleanse your skin is that it’s light and less greasy. It opens your pores and removes the gunk without leaving your skin feeling dry and flaky. Plus, it’ll also keep your skin moist, supple, and hydrated. If you don’t want to splurge on expensive hand and foot creams, DON’T! Almond oil makes for a great alternative. It’s not only affordable but also heals the cracks on your feet and palms. Not to mention, it gets absorbed into your skin easily and leaves a sweet, pleasant fragrance. A natural way to add volume to your lashes is to apply almond oil on them. Why it works, you ask? Simply because it provides nourishment and strength to your lashes. 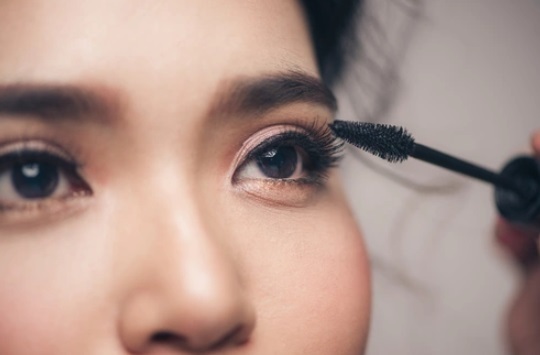 Use an old mascara wand and dip it into a bottle of almond oil. Gently groom your lashes with the curler and there you have it! Smoother, longer lashes for the win! Just when you’re out of lip balm, almond oil comes to your rescue. Applying the oil directly onto your lips and gently rubbing your pout will make your pucker feel smooth, soft, and supple. This home remedy works like a charm when dealing with dull, chapped lips. You must know that almond oil contains fatty acids which help absorb oil and dissolve impurities that lead to acne and scars. Almond oil will moisturise your skin and prevent your pores from getting blocked. Just take a ripe avocado, scoop its pulp out, and mash it up. Next, empty the pulp into a bowl and pour some honey and a tablespoon of almond oil over it. Apply a thin layer of this mask on your face. When you wake up, head to the shower and wash your face with lukewarm water. Believe it or not, but this oil has emollient properties. Using it on your skin daily can tighten skin and promote blood circulation. This helps reduce the appearance of stretch marks. Twice a day, apply some almond oil over your stretch marks and massage your skin in a circular motion. You’ll be able to see the first sign of results in a month’s time. If You Thought The Benefits Were Cool, I Think The Facts About Almond Oil Will Interest You Too. 1. Almond oil is so mild and gentle on the skin, it can be used even on a baby's skin! 2. Just how coconut oil is used to remove makeup naturally, even you can do the same with almond oil. It contains vitamin A and does a fabulous job at cleansing your skin of dirt, oil, and makeup residue. It's perfect to use on dry and acne-prone skin. 3. Before going to bed, apply a thin layer of almond oil under your eyes. It'll brighten your undereye area. 4. You'll know you have a mineral deficiency if you notice that your nails start to chip easily and they have tiny, white spots on them. Almond oil can take care of that problem. You see, almond oil is rich in zinc, which helps to improve overall nail health. Apply some almond oil all over your cuticles and don't wash it off till the morning after. 5. It acts as an alternative to creams. If you have sensitive skin and it's covered with rashes, almond oil can come to your rescue. It's the perfect and most natural alternative to commercial creams, which makes it extremely safe to use on children too. 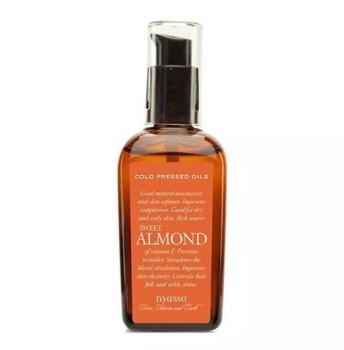 Here Are 5 Almond Oil-Infused Products We Love! 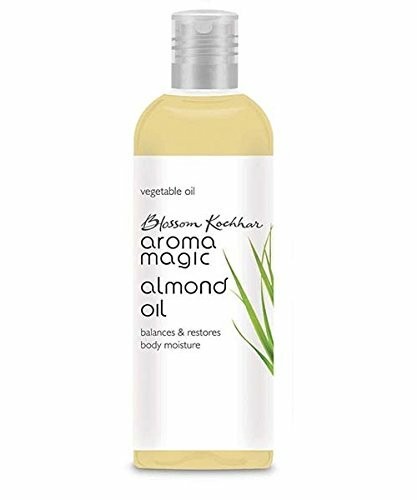 After stepping out of the shower, wipe your body well and apply this almond oil product. Massage the oil till it seeps into your skin. Leave it on for about 20 minutes and then wipe your skin using a damp cloth. 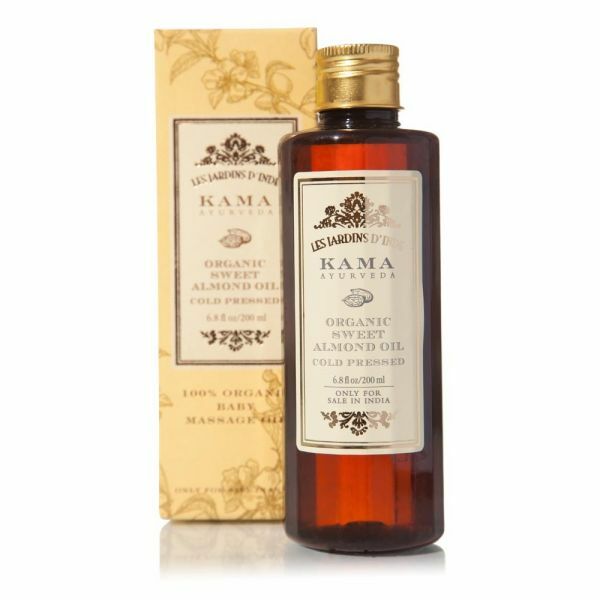 This almond oil is the loveliest oil you can ever give yourself. While it moisturizes your skin, it also makes it glow at the same time. A little expensive, but totally worth every penny. 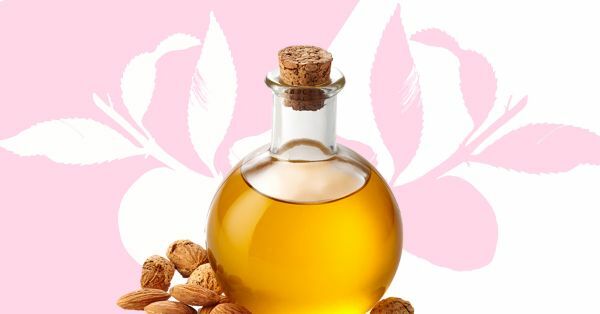 This magic almond oil helps to remove impurities from the skin and scrubs off dead skin cells. Once applied, it makes your skin feel softer and look more radiant. You've got to try it to believe it. The bottle itself is pretty adorable if you ask me! This particular oil is perfect to use if you have skin allergies or suffer from dryness. Just before you go to bed, apply a generous amount of this oil on your feet, arms, and face and you're good to go. In less than 550 bucks, you can bring home the best almond oil in the world! 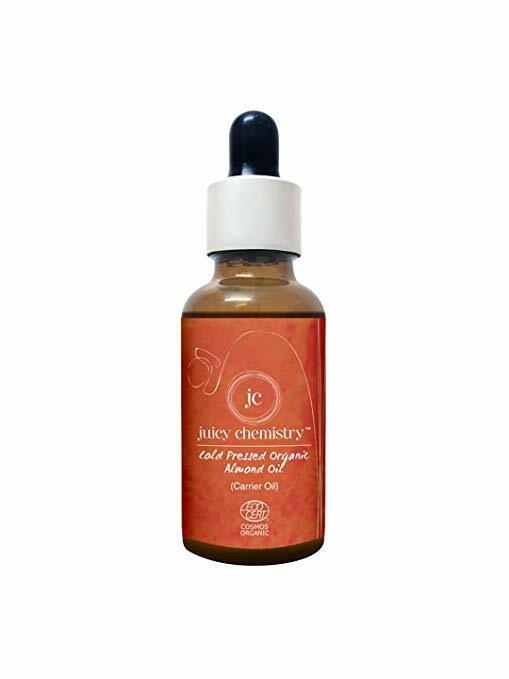 This one is loaded with vitamin E and has the potential to smoothen out skin and reverse any early signs of ageing. If you prefer going the natural route, then do check out these home remedies of almond oil for hair and skin. They're delicious and super nourishing for your mane. They improve the texture of your hair and make it super glossy and bouncy. You might want to give this hair mask a try! Step 1: Separate the yolk from the egg. Step 2: Add 2 tablespoons of almond oil and a drop of jojoba oil. Step 3: Apply the mask to your hair and don't wash it off till it hardens. Step 4: Wash hair with chilled water. Twice a week for a month is good enough. Henna is going to make your hair super soft and silky if you make a paste with it using almond oil. While it improves the texture of your hair, it also darkens the natural colour of your hair. Step 1: Add henna powder to water. Step 2: Add 2 teaspoons of almond oil. Step 3: Mix all ingredients well. Step 4: Pour over your hair. Step 5: Keep it on for an hour or so. Once a week will give you the hair you've always wanted. Castor oil is bae when it comes to solving all hair and skin problems. And mixing it with almond oil is bound to make your scalp healthier and hair shinier. Step 1: In a bowl, pour 2 tablespoons of almond oil and 1 tablespoon of castor oil. Step 2: You can add a teaspoon of olive oil if you like. Step 3: Use a toothpick to blend all the ingredients well. Step 4: Massage onto your scalp and wait for an hour to rinse. Do this twice a month for positive results. Lemon juice has superpowers because it helps to brighten skin naturally. If you have spots or excess sebum, lemon juice mixed with almond oil will do your skin good. Step 1: Add 2 tablespoons of almond oil. Step 2: Add 1 tablespoon of lemon juice and mix well. Step 3: Apply to your face and leave it on for a good 20 minutes. Do this twice a week for positive results. Almond oil already contains vitamin E, but there's no harm in wanting to do a little experiment, right? 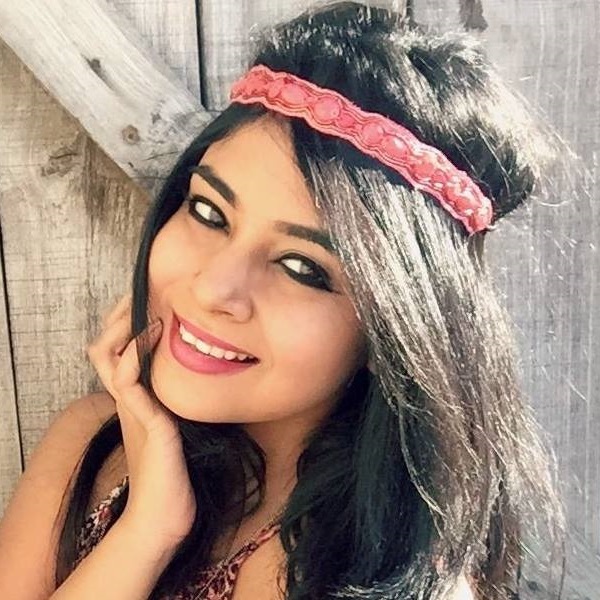 This home remedy is great for dealing with dark circles. Step 1: Before applying almond oil to dark circles make sure that you break/crush one Vitamin E capsule and mix it with the almond oil. Step 2: Apply to your undereye area. Step 3: Keep it on all night. For best results, do this every alternate night for a month. Besan with the help of almond oil and lemon juice will take care of all your tanning problems. Mixing flour with almond oil is bound to make your skin sticky, but it will remove the tan eventually. Let's begin with the recipe, shall we? Step 1: Mix 1 cup of besan with 1 tablespoon of almond oil. Step 2: Add a teaspoon of lemon juice. Step 3: Mix all ingredients well till they become a thick paste. Step 4: Apply it to your face, hands, and feet. Step 5: Wash off with water. Apply this paste thrice a month and you'll have fabulous looking skin in no time. Does Almond Oil Have ANY Side Effects? While almond oil feels nice and gentle on the skin, it does not agree with everyone. If you notice any skin allergies, you should wipe off the oil ASAP. Rashes, bumps, itchiness - all these symptoms are the worst to deal with. Sometimes, the scent too could make some people feel dizzy and give them a headache. If you experience any of these symptoms it's best to stay away from this oil. Remember, you must choose your health over any product in the market (no matter how magical everyone claims it is!). And the rule of thumb remains: before introducing any new product into your beauty regime, like almond oil, consult your dermatologist. You can then take a call accordingly. All the best.